Proof-of-concept challenge to select a new tool for rebuilding company’s Order Management System. OMS was difficult to maintain and written in Java by an intern no longer with the company. 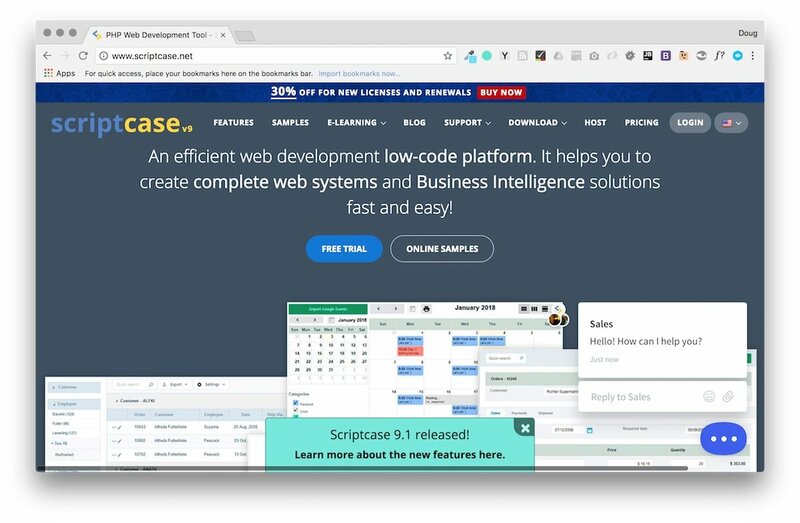 ScriptCase Rapid Application Development platform quickly built the test case, proved flexible & easy to use, and was selected. Touchstone 3D is a product development & commercialization company located in Cary, North Carolina. Touchstone 3D's Order Management System was difficult to maintain and written in Java by an intern no longer with the company. ScriptCase Rapid Application Development (RAD) software was selected. PhpStorm, Chrome Developer Tools, ScriptCase. A major problem with the current version of OMS was not that it was written in Java, but the way it was designed. One problem was form definitions were hard-coded into the source code. Since TS3D was still evolving OMS system requirements, this meant frequent changes to the User Interface & data structure often required major sections of the code to be rewritten.